A group of weeklies which removed all editorial content from their websites in a bid to drive traffic to social media have now stopped publishing local content on their Facebook channels too. HTFP reported in May last year how Johnston Press had made the move at six of its Scottish titles, with readers redirected from their sites to The Scotsman’s for North-East of Scotland news stories and advertising enquiries. The titles which made the change were the Arbroath Herald, Brechin Advertiser, Forfar Dispatch, Guide & Gazette, Kirriemuir Herald and Montrose Review, which all serve areas in the county of Angus. However it has now emerged that no local stories have been published on the Facebook pages of five of the six titles since before Christmas. The only new content added since then features links to articles carried on the websites of flagship titles The Scotsman and the i’, as well as generic light-hearted pictures such as the image below. 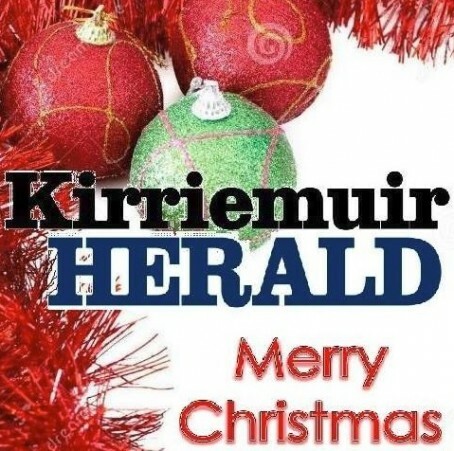 The last post featuring a local news story on the Facebook pages of the Arbroath Herald, the Advertiser, the Dispatch, the Guide & Gazette, and the Kirriemuir Herald was uploaded on 21 December, and concerned a £2,500 donation being made at a charity shop in an unnamed town in Angus. 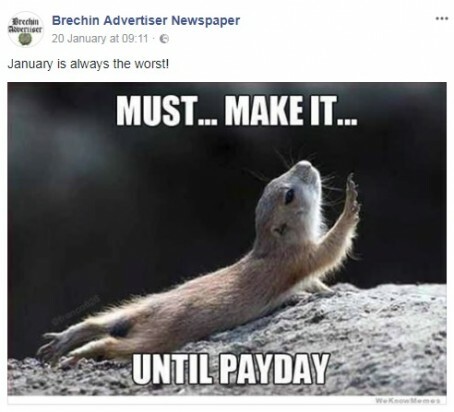 The last local post on the Review’s page, advertising a charity event in Montrose, appeared on 11 January, while the profile pictures which accompany the pages of the Arbroath Herald, Guide & Gazette and Kirriemuir Herald still feature Christmas-themed artwork. JP has denied that any permanent decision had been taken to stop publishing content to the pages saying that it is continuing to “experiment” with how the pages are used. However the apparent change has drawn criticism from STV journalist Andy McLaren, formerly of the DC Thomson-owned Aberdeen Evening Express. He posted on Twitter: “Johnston Press made the decision to close the websites of some of its weekly titles last year. As usual JP are flip-flopping and haven’t a clue what they are doing. They still can’t make digital work after years of trying. I’ve found, in my limited experience of social media, that you can’t drive traffic anywhere it doesn’t want to go. If you’re offering the punters good stuff, they’ll come and visit. Sadly, a lot of publishers aren’t, so they don’t. Come on, JP; give it up. You gave it your best shot, but now it’s just embarrassing.